If I . . . understand all mysteries and all knowledge, and if I have all faith, so as to remove mountains, but have not love, I am nothing. 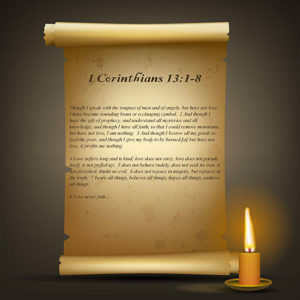 Paul begins 1 Corinthians 13 with some arresting words. Do we grasp their weight, or have we seen and heard them so often that they’ve become little more than some prosaic poetry to frame and hang on a wall as decoration? On the contrary, do they not hit us squarely between the eyes? When such love becomes seamlessly woven into the fabric of our lives, it not only causes people to recognize that we have been with Jesus, but our hope is that He will be so lifted up in the eyes of all who know us that they too will be drawn to Him. In DARE To Be Christlike you will discover how love is the key to bridging the gap between a life that looks like Christ and a life that does not.